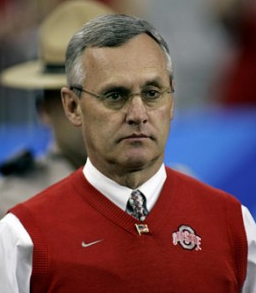 Ohio State football coach Jim Tressel was set to be suspended from the first five football games of the season for various infractions he was being investigated for by the NCAA. Instead, he quit today. Does this shock you? I am not at all surprised. This is the easy way out. Perhaps he should have just admitted guilt while he was at it. That’s how I see it. What do you think?